If you're going to spend €4 billion (£3.7 billion) of public money, then it's probably a good idea to sell it as being incredibly useful, which is precisely what the European Space Agency has done with its new sat-nav service. 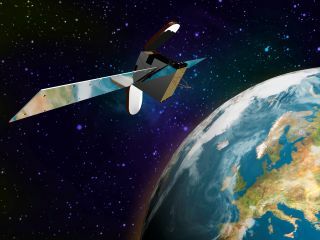 The EGNOS system went live this week, adding a greater level of accuracy to the existing GPS satellite navigation network. Now, instead of the roughly 7m margin of error from a standard GPS signal, EGNOS reduces that to 2m. It achieves this using three satellites and 34 ground stations, meaning new applications that rely on knowing precisely where something is are now possible. Wisely, the ESA has been trumpeting the possibilities, including a safety system to help planes when landing that might be launched in 2010 and an unspecified device that could help blind people get around more easily. Other possibilities include more accurate crop spraying for farmers and better ways to track cars and charge drivers if they use toll roads. However, EGNOS is merely the warm-up act for the much larger Galileo sat-nav network and GPS rival, which is where the real money is going when it, supposedly, launches in 2014.